MOSCOW (Sputnik) - An official representative of Google has informed the Russian State Duma that Crimea was shown as a Russian region on Google Maps when accessing the maps from Russia, Leonid Levin, the lower house's information policy committee chair, said. 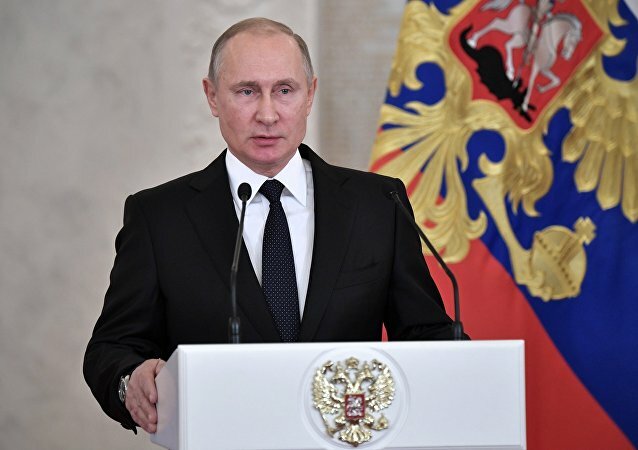 MOSCOW (Sputnik) - The ceremony of inauguration of Russian President Vladimir Putin will take place in the St. Andrew Hall in the Grand Kremlin Palace on Monday. 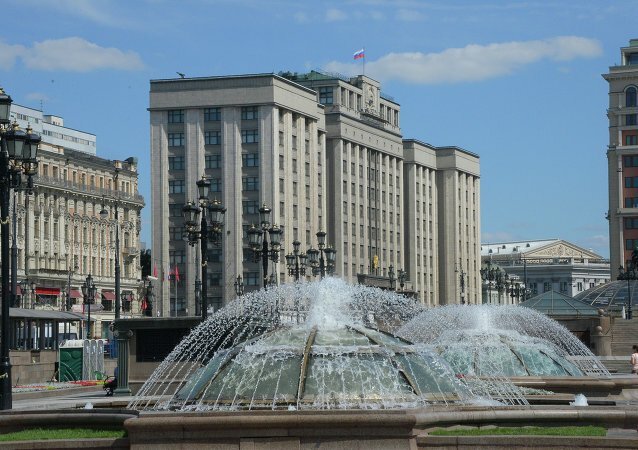 MOSCOW (Sputnik) - Official accounts of the lower house of the Russian parliament, the State Duma, on VKontakte and Twitter were targeted on Wednesday by a massive spam attack, the State Duma press service told Sputnik. 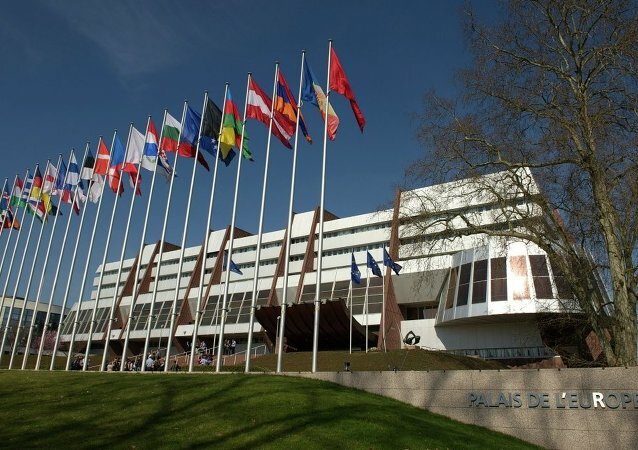 MOSCOW (Sputnik) - Russia will continue dialogue with the Parliamentary Assembly of the Council of Europe (PACE), but Moscow will not make contributions to the PACE unless the Russian national delegation's right to participate in the decision-making process is restored, State Duma Speaker Vyacheslav Volodin said Wednesday. 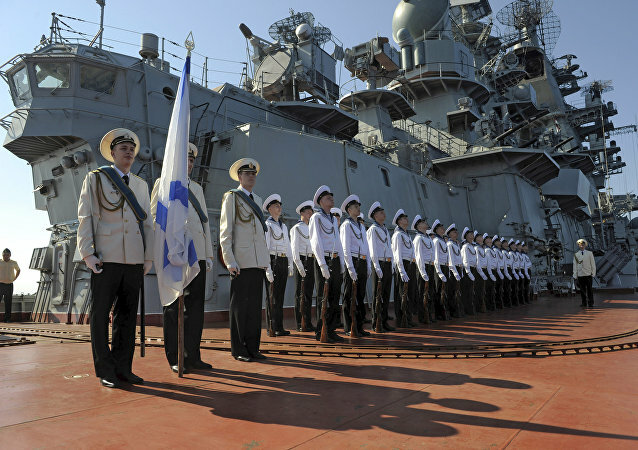 MOSCOW (Sputnik) - The Russian State Duma ratified on Thursday the agreement on the expansion of the Russian naval facility in the Syrian port city of Tartus. 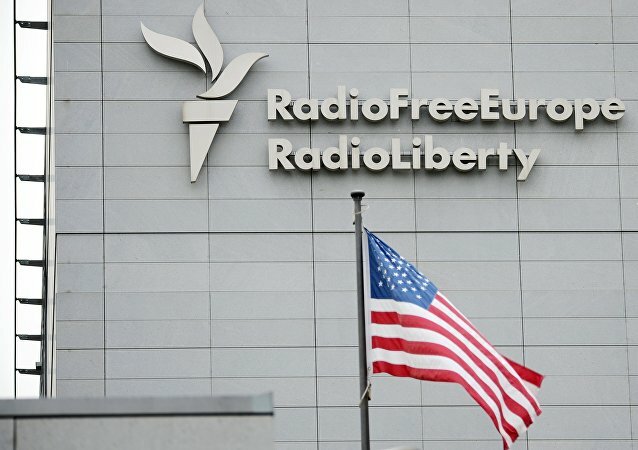 The Kremlin has retaliated following a US decision to signal out the Russian-owned network RT America with regulatory amendments targeting several key media outlets. Every December 3, millions of people across Russia and the former Soviet republics mark the Day of the Unknown Soldier. The pressure on Russian media outlets operating in the US grows amid allegations of interfering in the internal affairs of the country, resulting in RT America being registered as a foreign agent last week. 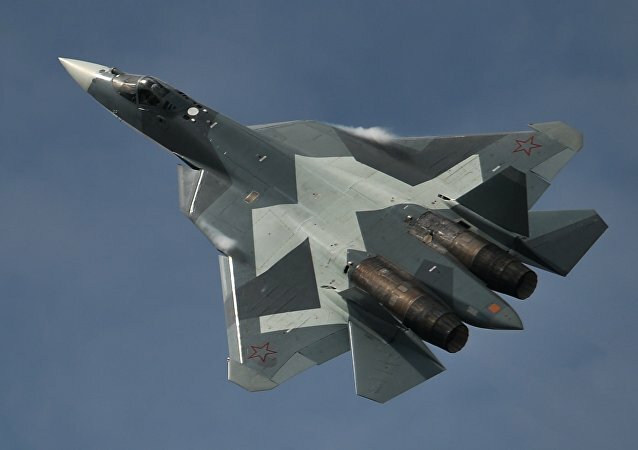 Now Russian officials are considering possible reciprocal measures. Lawmakers have stressed that the bill on including media outlets operating in Russia but funded from abroad in the Foreign Agents Law is a response to the US actions that forced RT America to register as a foreign agent. As the pressure on Russian media outlets operating in the US grows amid allegations of meddling in the 2016 presidential election, RT America registered as a foreign agent on Monday as per the US Justice Department's request. Worsening US-Russia hostility has prompted the lower house of Russia's legislature to postpone the US trip of a delegation. Former Polish Prime Minister Leszek Miller condemned Warsaw's war on the Soviet-era monuments and lambasted the desecration of Red Army soldiers' graves in Poland. Speaking to Sputnik the politician bemoaned the fact that Russophobia has emerged as an official doctrine under the Andrzej Duda administration. 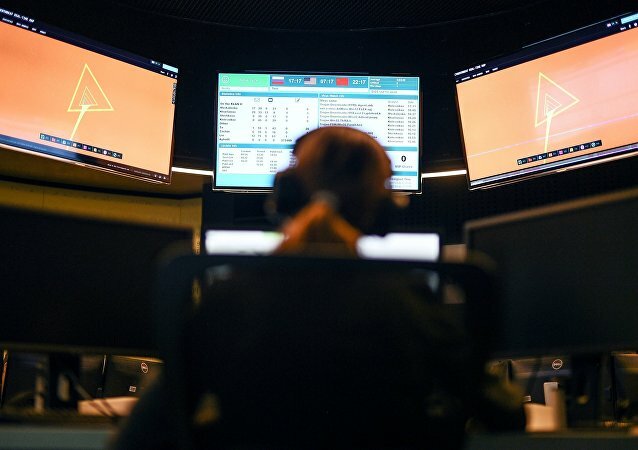 The US decision to stop using Kaspersky software is an attempt to squeeze a successful Russian company out of the cybersecurity market, meaning that free competition makes sense to Americans only when it serves their interests, political analysts told Radio Sputnik. Russia should react to possible new US sanctions in a constructive manner and avoid harming chances of restoring ties, Leonid Slutsky, the chairman of the Russian lower house of parliament's International Affairs Committee, said Wednesday. The overwhelming approval by the US House of Representatives of a new batch of sanctions against Russia could effectively dash all hopes for normalization of relations between the two countries any time soon, Russian political analysts told Sputnik. 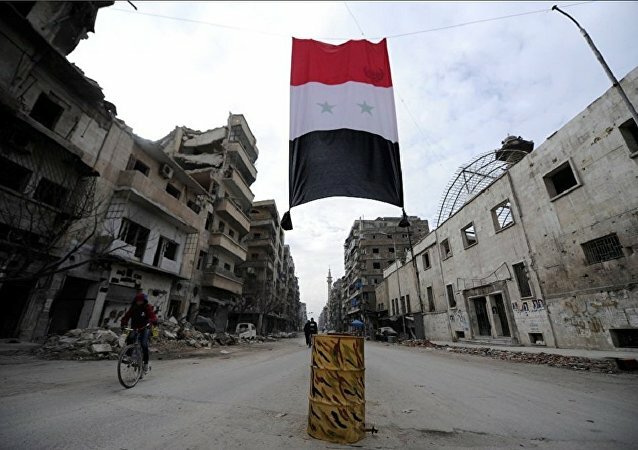 The delegation of lawmakers, public figures and representatives of the Russian business community will visit Syria with a humanitarian mission in August, according to a member of the United Russia party's faction in the parliament's lower chamber, Air Force Col. Gen Nikolay Antoshkin. 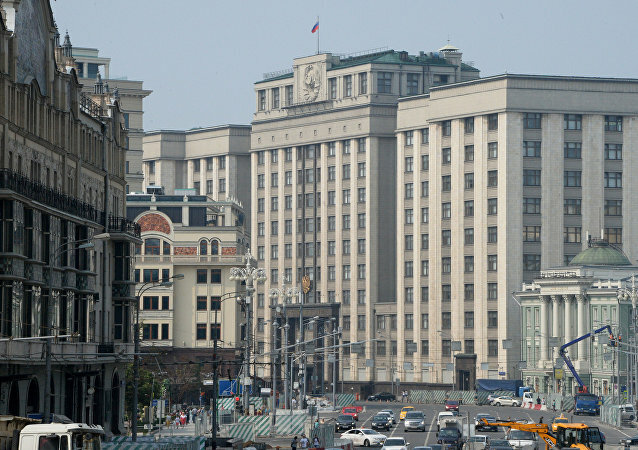 Russian State Duma on Friday adopted the bill on obliging messaging services to identify users by phone number. 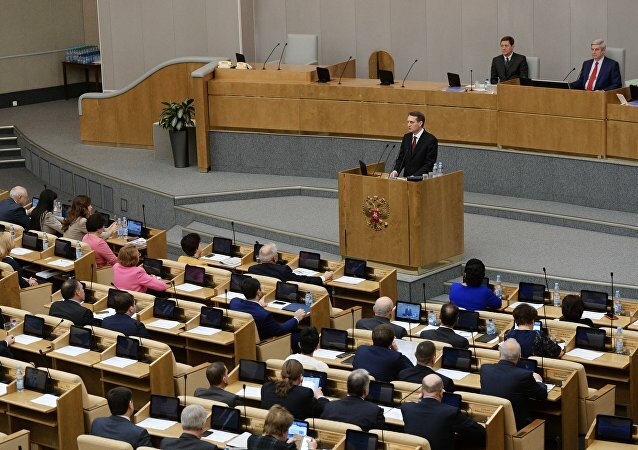 Russia's State Duma adopted the legislation introducing criminal sanctions for a special election fraud.